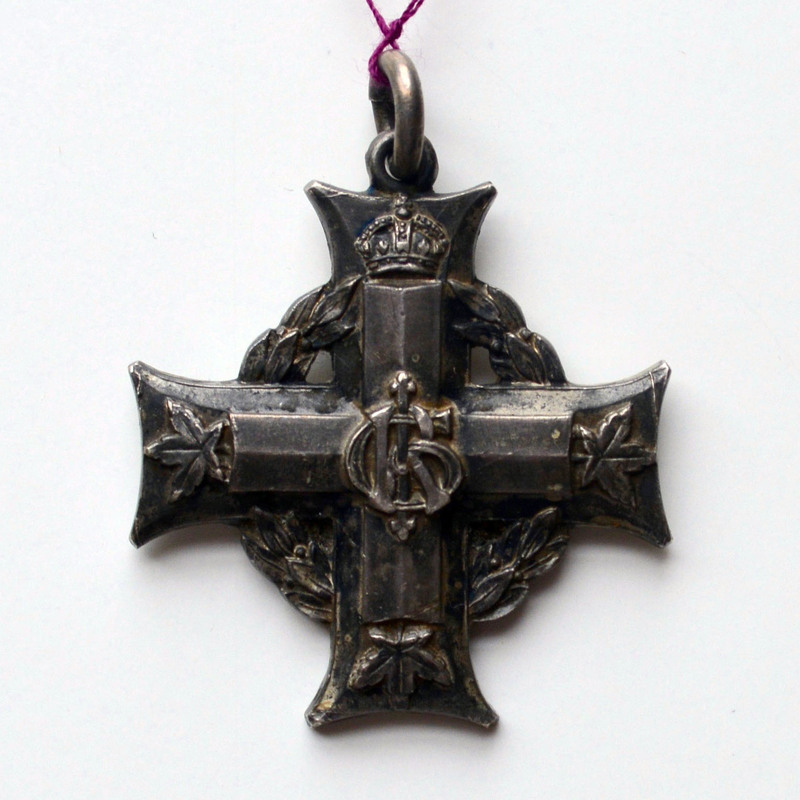 We featured this silver Memorial Cross, given to the mother of Private Robert Elliot of the 14th Battalion, as part of our Centennial Feature for the 100th anniversary of the Battle of Thiepval Ridge. Elliot was killed on 28 September 1916 when the battalion tried to take Kenora Trench. He was listed as missing and his body was never found. In 1919, a letter from the novelist William Alexander Fraser was published in the Toronto newspaper, Mail and Empire, which called for the creation of a silver cross medal to be given to mothers whose sons had been killed in the war. His idea became very popular, and shortly afterwards he approached Prime Minister Robert Borden about the project. The Memorial Cross was signed into existence on an order from the Privy Council on 1 December 1919; unlike Fraser’s original idea, the Memorial Cross was also extended to war widows. Mourning and the Victorian symbols of mourning had become a contentious issue on the Canadian home front during the war. The traditional “widow’s weeds” of all black were thought to be bad for public morale. Black dress was yet another reminder of how many were dying in Europe, and made widows and mothers a symbol of pity, rather than pride. In order to encourage public pride in their “heroic sacrifice”, mourners were instead encouraged to wear purple arm bands, and to refrain from other traditional 19th century symbols of mourning like black curtains, mourning cards, and crêpe door draperies. The selection criteria for those receiving the Memorial Cross was strict; as Robert Elliot’s birth mother, Agnes Elliot fulfilled the criteria, but for those women who were mothers by adoption or were stepmothers, the fight would be much harder. Equally difficult was the position of fiancées; if they were not married before the soldier went overseas they could not receive a Memorial Cross, it would go instead to the soldier’s mother. War widows had to be of unimpeachable character, the original text stated that no Memorial Cross would be awarded to a widow of “dissolute character”, though how this was determined is unclear. In 1936, Canada appointed its first Silver Cross Mother, Charlotte Susan Wood, who was chosen to lay a wreath on behalf of Canadian dead at the Tomb of the Unknown Soldier in London. Mrs. Wood also attended the Vimy Memorial Pilgrimage the same year, wearing the medals of her seven sons and stepsons who served. Since 1936, the Royal Canadian Legion has appointed a Silver Cross Mother every year to represent all of the families of the country who are mourning the loss of a loved one in combat. NB: Blog title comes from the wartime novel by Nelly McClung, The Next of Kin: Those Who Wait and Wonder.